Sandhya Menon and Sonora Jha first wrote about Adhikari. Now, a third journalist has come forward with an account of Adhikari forcibly kissing her when she went to his office to discuss work. 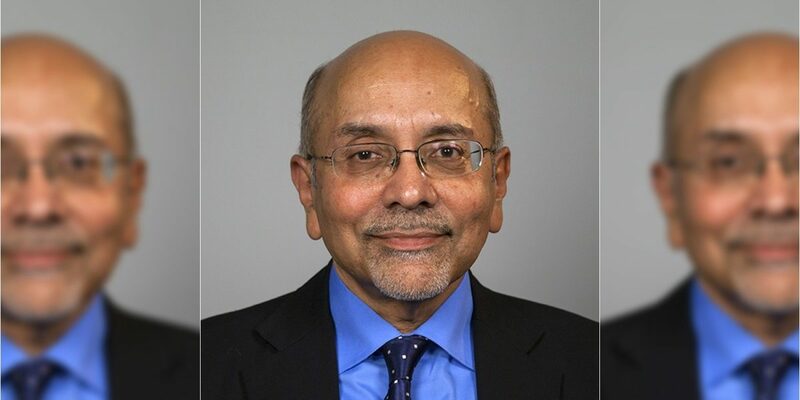 New Delhi: Former executive editor at Times of India and former editor-in-chief of DNA, Gautam Adhikari has resigned from his post as senior fellow at the Center for American Progress in Washington DC following three allegations of sexual harassment against him. 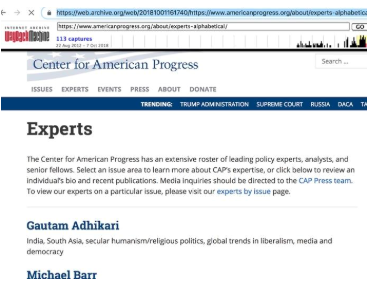 His profile page on the centre’s website is currently blank and his name is not there on the centre’s list of experts, even though as late as October 1, 2018, it was. Responding to The Wire‘s email, CAP’s senior vice president for communications and strategy, Daniella Leger, confirmed that Adhikar quit soon after they initiated an internal investigation. Sandhya Menon and Sonora Jha first wrote about Adhikari on October 5. Now, a third journalist has come forward with an account of Adhikari forcibly kissing her when she went to his office to discuss work. In a post published on her website on October 8, Tara Kaushal – who is now a writer on gender, sexuality and rights – recounted an incident from January 2006, when she was a 22-year-old freelancer who went to meet Adhikari, then the “50 something” editor of DNA in his office. Kaushal said she first met him at a Christmas party in December 2005, thrown by people known to both of them, when she spoke to Adhikari, expressing an interest in writing for DNA. He told her to follow up with him in January. As agreed at the party, she went to visit Adhikari at his DNA office. After exchanging initial niceties in front of Adhikari’s secretary at the time, he invited Kaushal into his office – which she described as being very “public” and mostly comprising glass panels except for a passage between his door to the main area of his office. I do not recall any of these incidents which are being alleged from so many years ago. As I said, I would sincerely apologise to anyone if I had made that person uncomfortable in my presence but there was no question of sexual harassment on my part. I left my honorary non resident position from the Center for American Progress because my reputation has been severely damaged and I didn’t want to involve the organisation in any embarrassment. I am otherwise retired and not attached to any institution. Sandhya Menon, who was the first woman to publicly accuse Adhikari last week, had also recounted being kissed by Adhikari without consent while he was in DNA. While neither Menon and Kaushal reported Adhikari for his conduct during his stint at DNA, Sonora Jha, who worked as a journalist with the Times of India in the Bangalore bureau in 1995, said on Twitter that she too had faced a similar situation with Adhikari when he was an executive editor with TOI. And finally, one more calling out and I’m done. Jha also added that when she complained to her immediate supervisor about Adhikari’s actions, he informed her that Adhikari had asked for Jha to be “sidelined”. The Wire reached out to Bachi Karkaria, who was an editorial consultant for the TOI Bangalore edition at the time, as well as H.S. Balram, the newspaper’s resident editor, both of whom Jha had taken into confidence at the time. Karkaria and Jha are still close and have remained in touch through the years. Balram also confirmed the fact that Jha had informed him of the incident with Adhikari as soon as it had happened. Note: This story was updated to include Gautam Adhikari’s response to The Wire’s email, as well as responses from Bachi Karkaria, Daniella Leger and H.S. Balram.